State and federal government agencies recommend that homeowners who have a home heating oil tank join residential service plans, such as the Tank Sure Program, to regularly check on the safety and integrity of above ground oil tanks. Not only will this program help to protect your investment, but it can also help homeowners in Fall River reduce heating oil repair and other associated costs that can come with a failed tank. 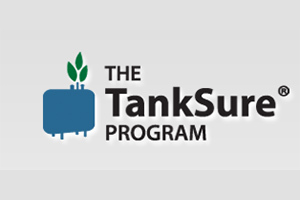 This article will talk about all of the ways that the Tank Sure Program helps to evaluate and protect your home heating oil tank and the dangers associated with neglecting such important maintenance. The first step of the Tank Sure Program is also the first best step to protecting your equipment and your loved ones from the dangers of home heating oil tank leaks. Step one is an annual inspection, which with the residential service plans through the Tank Sure Program, includes both a visual inspection and an ultrasonic test. The ultrasonic test is used to determine the degree of corrosion that has occurred to the inside of your tank. It is a very safe and effective method, similar to the sound waves used in an ultrasound. The Tank Sure Program starts off service with a complete inspection and then the inspection is repeated each year at the time of the annual tune-up of your home heating oil tank and system. Following the inspection, the test scores from the ultrasonic reading are recorded and entered in to the Tank Sure Program’s state-of-the-art database. Qualified tanks will be protected through the residential service plans with at least a $1,000 proactive tank replacement payment. The readings that are recorded each year are monitored by the Tank Sure Program and if you need a new tank, you will receive the $1,000 payment toward replacement costs. The ultrasonic thickness test that the Tank Sure Program does has been used for over 30 years in various industries, so you can rest-assured that it will help you monitor and protect your own home heating oil tank. Some of the industries that rely on this test include aerospace, aircraft, automotive, military, oil and gas, precision, power, stamping and structural engineering. These and many other industries are using this technology to fulfill requirements related to inspection and safety. So much more reliable than a visual inspection alone, the ultrasonic testing method is approved by both the Environmental Protection Agency (EPA) and the American Petroleum Institute (API). While there is no regulation of residential service plans and inspections conducted by these agencies at this time, they do require the regulation of larger tanks that are used in commercial applications. The methods used for commercial use are directly applicable to the home heating oil tanks, which is why it is important to get residential service plans that will help protect your tank and system. It is good to note that while the ultrasonic testing method is crucial, the visual inspection part of the Tank Sure Program is still very important. The visual inspection helps to identify other areas for homeowners in Fall River heating oil repair that might be necessary, such as the legs, seams, fill and vent piping area. It also checks the vent alarm. This can help home heating oil tank owners become aware of any repairs or upgrades that might need to be done before they become a serious or more costly issue. There are just some things that must be inspected visually by an experienced, trained inspector that can’t be done with gadgets or technology. What Are Qualified Home Heating Oil Tanks? As previously mentioned, qualified tanks are eligible to get the Tank Sure Program replacement payment, which in most cases is $1,000. A qualified tank is a home heating oil tank that is not in need of immediate replacement. According to statistics gathered through these residential service plans, approximately 95 percent of all tanks will qualify for this part of the Tank Sure Program. The $1,000 payment can be very helpful to homeowners who need to replace their home heating oil tank. In addition to helping homeowners to identify, repair and replace issues with their home heating oil tank, the Tank Sure Program residential service plans can help you to save money on your homeowners insurance policy. Check with your agent or broker to find out whether or not a discount is currently offered to homeowners who have the Tank Sure Program. As a member of the Tank Sure Program, Columbus Energies will provide you with a Tank Inspection Certificate, which you can then provide to your insurance agent. 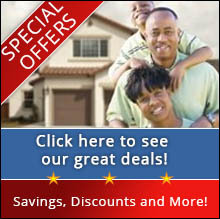 If your broker is familiar with the program, chances are they will know about the discount codes available. If they do not have the program in their system, they may be able to offer you other types of discounts for this preventative measure. If you are in need of Fall River heating oil repair or maintenance, call Columbus Energies. We provide service to homeowners and businesses in the Fall River area, as well as all throughout Southeastern Massachusetts and Rhode Island. We offer a wide range of residential service plans to our customers, along with automatic home heating oil tank delivery services. The Tank Sure Program is a great way for our customers to stay on top of maintenance, tune-ups and annual inspections of their home heating oil tank and for us to provide the best-possible services. Call Columbus Energies for more information about the Tank Sure Program or to start receiving home heating oil tank deliveries in your area.